Could this be the future of phones already getting the budget treatment? Honor took to the stage at IFA 2018 to show off its new Honor Play and surprised everyone by revealing a stunning Magic 2 complete with pop-up selfie camera and bezel-free screen. Honor showed off the next-gen handset that's due to launch in December. The big sell was the all-screen display like that found on the Oppo Find X. In this case that means no bezel and a selfie camera that can be slid up from the back. Will that be automated mechanically for launch? We'll have to wait and see although it seems unlikely as this could be a way to save money. Since Honor typically releases impressively kitted out phones at very affordable prices this seems like a good saving point. Also announced on the handset is the latest 7nm Kirin 980 CPU. It should also get the 40W Magic Charge feature the first-gen phone got for super quick battery top-ups, which should mean going from empty to 90 percent charged in just 30 minutes. Honor's YoYo virtual assistant was also teased which should bring a host of AI smarts to the handset. 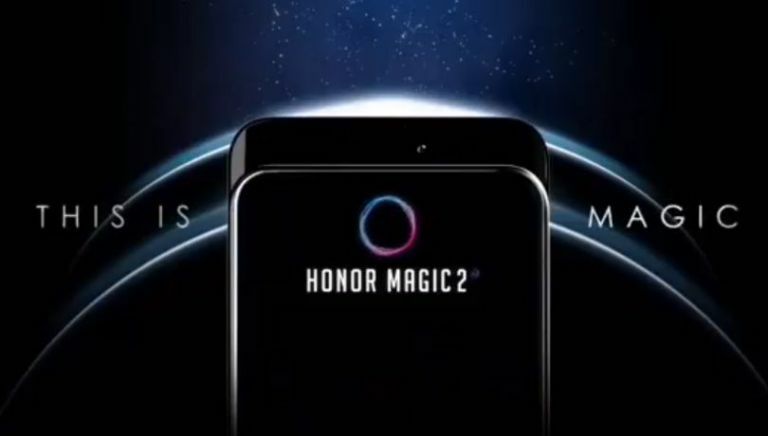 As for price, we'll have to wait and see but with the Honor Play announced at just £279 and with impressive specs, we're holding out hope for another affordable high-end handset from Honor in the Magic 2.